Squatting should be an essential part of your training, whatever goals you want to achieve. The Squat: It’s the king of strength exercises and the backbone of muscle building and strength improvement. 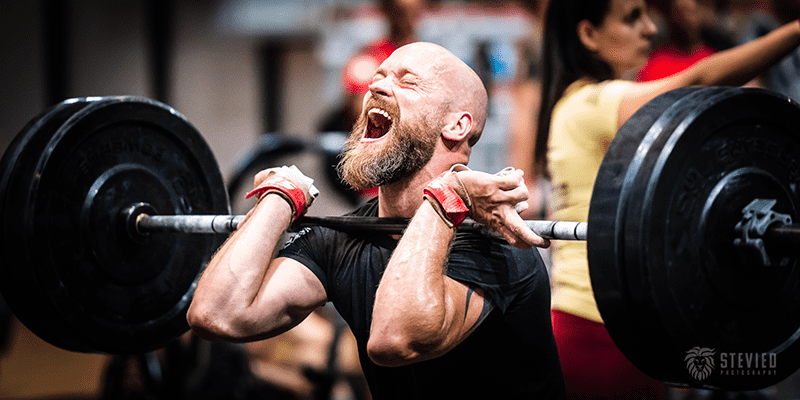 From the powerlifter, Olympic weightlifter, bodybuilder or functional fitness athlete right through to the casual gym goer, the squat should form an integral role in any training routine. The following ‘squat secrets’ are designed to provide new perspectives and help you get better. Depending on your goals and form of training, they will apply to you in different ways, so use them creatively and keen every session in the gym exciting. 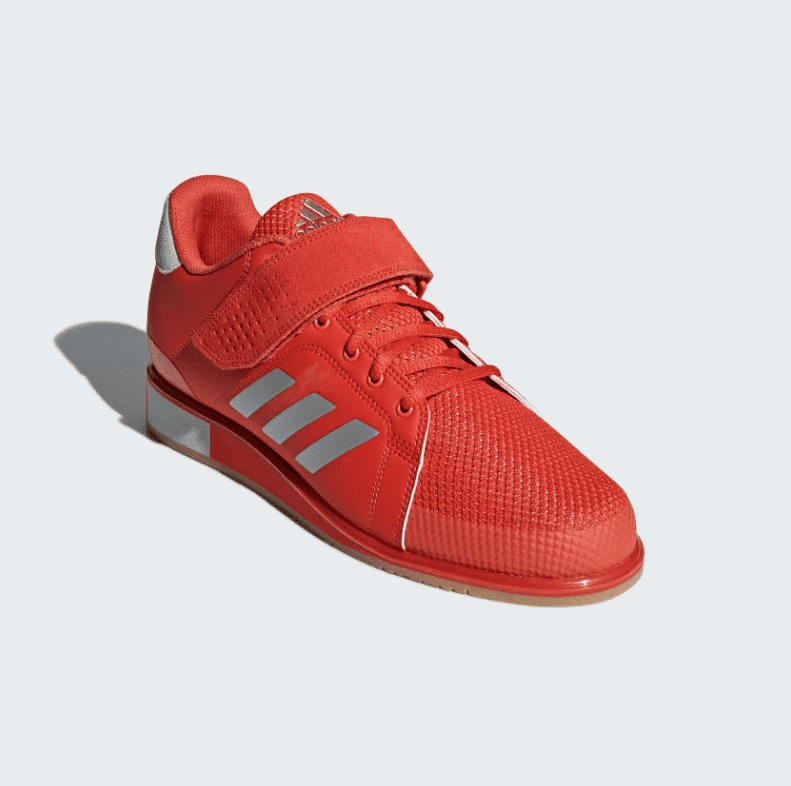 Also, don’t forget to equip yourself properly when you lift (link to adidas). The key for this concept to work is to choose movement over performance. The idea is to do some variation of squatting everyday. Even if that means using an empty barbell or 30% of your back squat at times just to explore and appreciate the range of motion being used. By doing this, you can improve your hip and ankle mobility as well. Even if some days are as simple as practicing slow bodyweight air squats or spending time in the bottom position, this work will help you in the long run. You run into trouble when you let ego get in the way. So, if you decide to squat to a 1 rep max every single day, then you’re bound to run into issues. Knowing how to auto-regulate is a skill that is honed over time. Knowing when to push and when to back off. Make it a point to get in the bottom of your squat every single day and get in touch with how things feel on that given day. If you’re someone who only squats heavy singles, doubles, and triples — you’re going to be faced with some tough challenges when it comes time squat more volume during conditioning workouts. You want to think about confidently being able to take on any rep range that’s thrown at you. Sets of 1, 2, 3, 5, 8, 10, 15, and even 20. The dosage of how often you’re performing these rep ranges highly depends on your goals, timing of your cycle, and a host of other variables. The takeaway is to keep your eyes on the prize, but don’t lose tabs on these other ranges. If you can get a coach to structure this for you in a thoughtful and purposeful way, that would be the most ideal. If not, simply start by adding in one or two days a week where you challenge yourself with a rep range that is out of your comfort zone. Deep down, you know what this is. 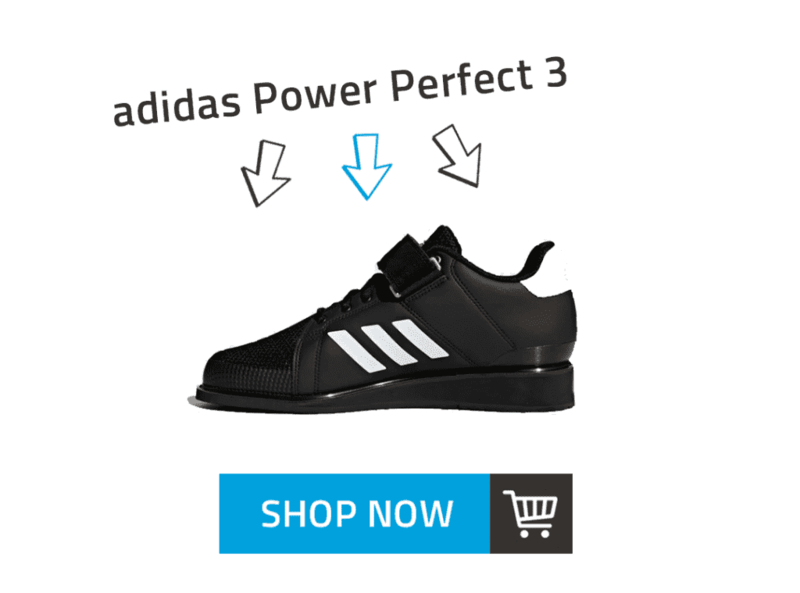 A good quality pair of lifting shoes, such as The adidas Power Perfect 3, will help to improve power, stability and support, and complement your movement patterns. They work in conjunction with the natural biomechanics of your body and can assist dorsiflexion to create a better lifting position. Dorsiflexion is the action of raising the foot upwards towards the shin. It means the flexion of the foot in the dorsal, or upward, direction. 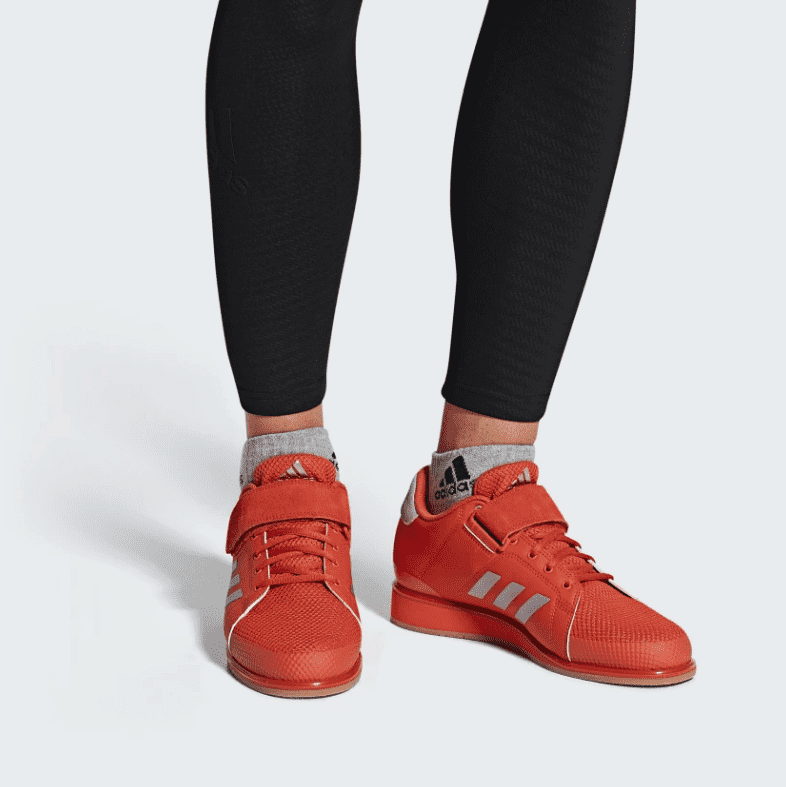 The durable synthetic upper and Adiwear outsole enhance the durability of the lifting shoe and toughened mesh provides flexibility and comfort in the forefoot. 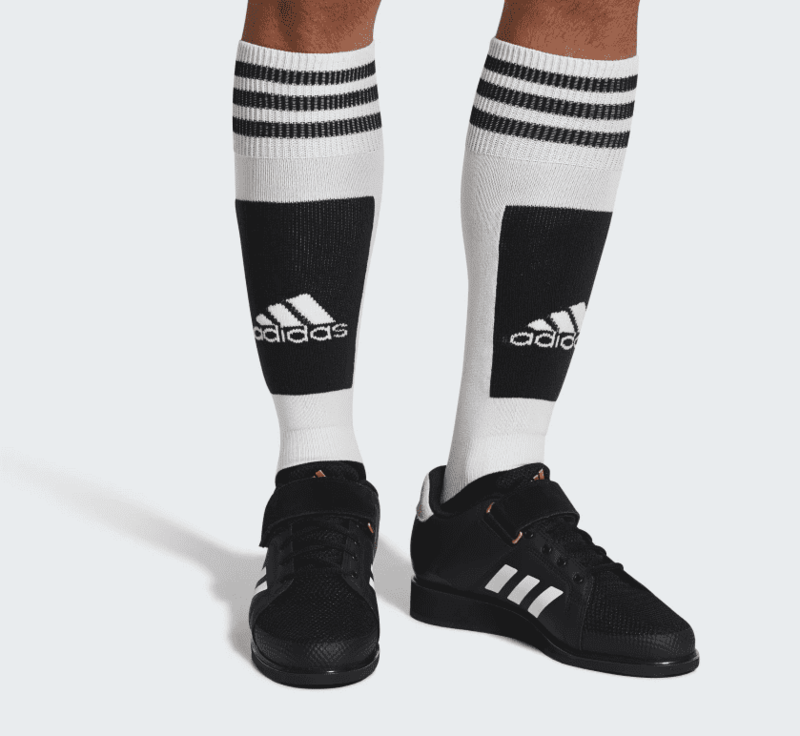 They also feature a specially engineered die-cut wedge midsole along with heel support and an instep strap for outstanding stability. 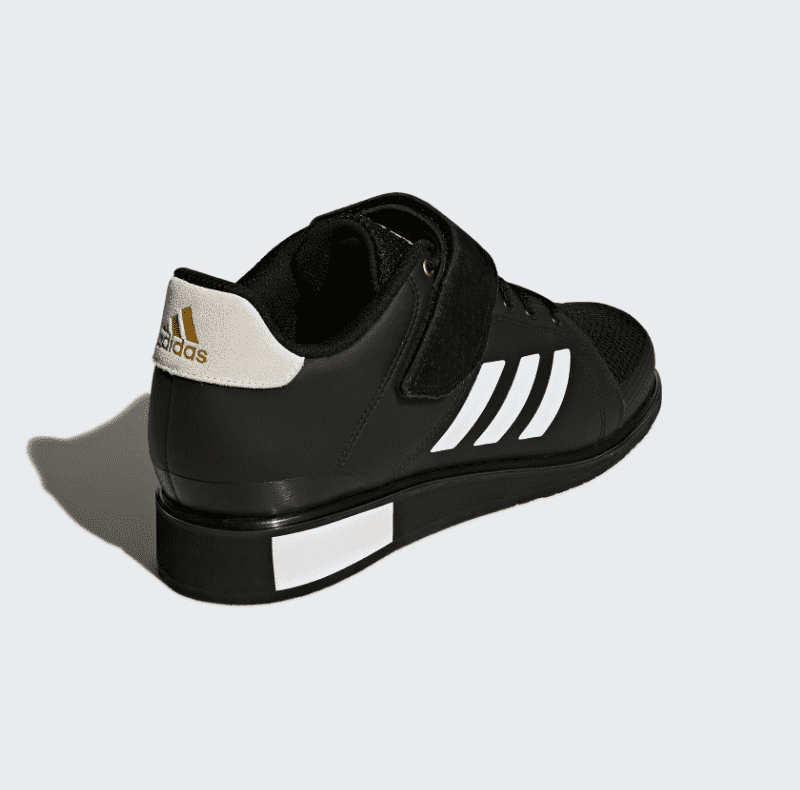 You can also adapt the fit using the synthetic material strap over the laces to lock your feet securely into place. The fit is solid and I found the heel just the right height to help me achieve an optimal squatting position. This is an underused, but incredibly effective way to lift. Tempo training allows you to reinforce the concept of “time under tension”. This is crucial for you to build the structures necessary to keep layering strength, speed, power, and explosiveness on top. X – This symbol signifies the concentric portion, which is coming out of the bottom of the squat. X means be as explosive as possible. 1 – This is the isometric portion at the top of the life. When you’re fully standing, count “1 one thousand” before initiating the next repetition. Typically, you’re not going to be able to go as heavy as your true 1RM if you follow the tempo prescription correctly. But this is one of the fastest ways to develop true strength & control in your lifts. Especially since a great deal of what we do during conditioning workouts and even other lifts consists of solely explosive (concentric) contractions with little regard for isometric and eccentric contractions. I can’t emphasize this one enough. Single leg squatting is vital for balancing your right vs left leg strength while also moving in a different plane of motion. Back Loaded Bulgarian Split Squat – Perform 10RM / leg at 50% of your Back Squat / leg. Front Loaded Bulgarian Split Squat – Perform 10RM / leg at 85% of what the Back Loaded variation should be. Every human should be able to perform a pistol squat. That can be another test for you. And the tools I just mentioned can be used to develop strength and stability for the pistol squat. Start spending more time on one leg, and you’ll probably even notice acute aches and pains start to smooth out over time. When it comes to getting strong, people do a lot of fancy things, but there are already proven ways to get strong and dead stop exercises are one such tried and tested method. Dead stop squats are often called pause squats because you must pause for a predetermined amount of time in the bottom position of the squat. You may have noticed that the first rep of a deadlift or bench press is always the hardest, and a hand release push up is way harder than a normal one. This is not because of exhaustion, but because you have no momentum or power generated from the eccentric movement phase. In other words, you are generating all your force from a zero point. Movements that operate from this position are called ‘dead stop’ exercises. Focusing on this point can help you blast through even the most frustrating strength plateaus and get you on track to build muscle and improve strength. Pausing at the bottom makes the exercise significantly harder, which means you simply won’t be able to lift as much weight. That may sound like a bad thing, but it’s actually a positive. The lightened load means you’ll be able to support the weight more effectively and get used to being in that position during each lift. Are you addicted to using to using belts and knee sleeves? I don’t blame you, I’ve been there. It’s a very easy trap to fall into. The problem is that these are tools with great intentions that are often used as band-aids. If you find yourself covering up knee pain, back pain, and things of that nature with a piece of equipment — you have to take a step back and re-evaluate the deeper issue. The great thing about taking a break from using the tools above is that you will develop RAW strength. There’s something to be said when you feel confident, strong, and stable squatting without any gear. You FEEL prepared for anything. 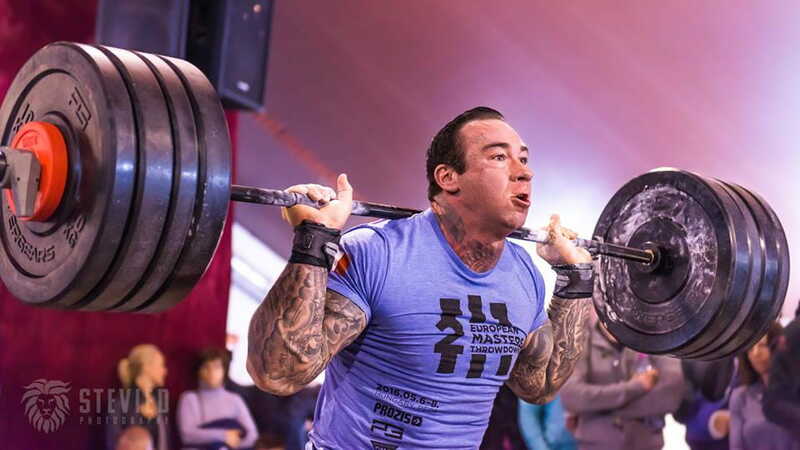 Now think about adding a belt back in when it’s time to go for a PR. You’re going to feel like you have super powers. Keep notes on both of your numbers. What weights can you squat raw? What weights can you squat assisted? Use these squat secrets in a way that suits you and don’t be afraid to try new things or strip back the weight to focus on technique and movement. Always remember to stay safe and equip yourself properly.